Ready-to-go from the freezer straight to your oven, these exceptional pastries give you a Parisian bakery experience in the convenience of your own home. Enjoy the aromas as these gourmet delights rise and bake in your own oven. 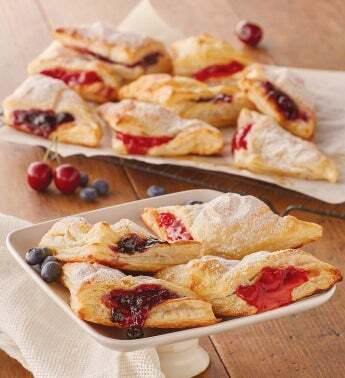 The flaky, buttery pastry layers are bursting with either a bright and vibrant cherry or a robust blueberry filling. With each fresh and flavorful bite, you'll appreciate the premium ingredients used in this traditional recipe, like European butter and fruit pieces.